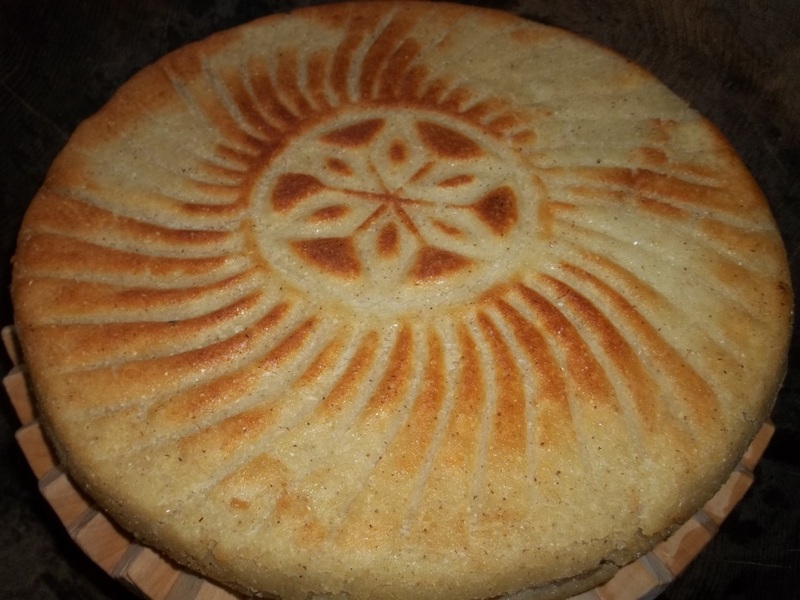 Mchadi is a very popular cornbread traditionally eaten with lobio (beans) and cheese. 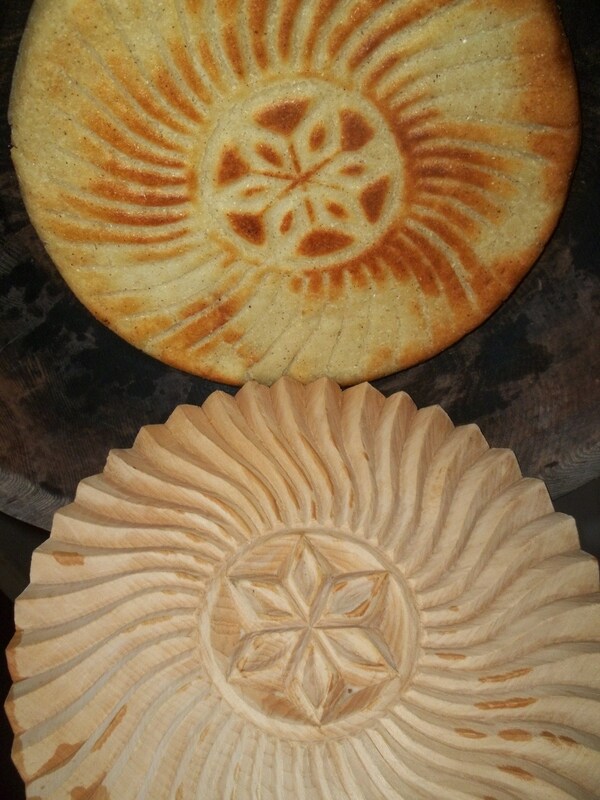 In this family recipe from Georgia’s Racha region (Georgian: რაჭა) we show how to make Mchadi filled with smoked Rachuli bacon and decorated with a pattern made with a traditional wooden Sachrelelbeli. 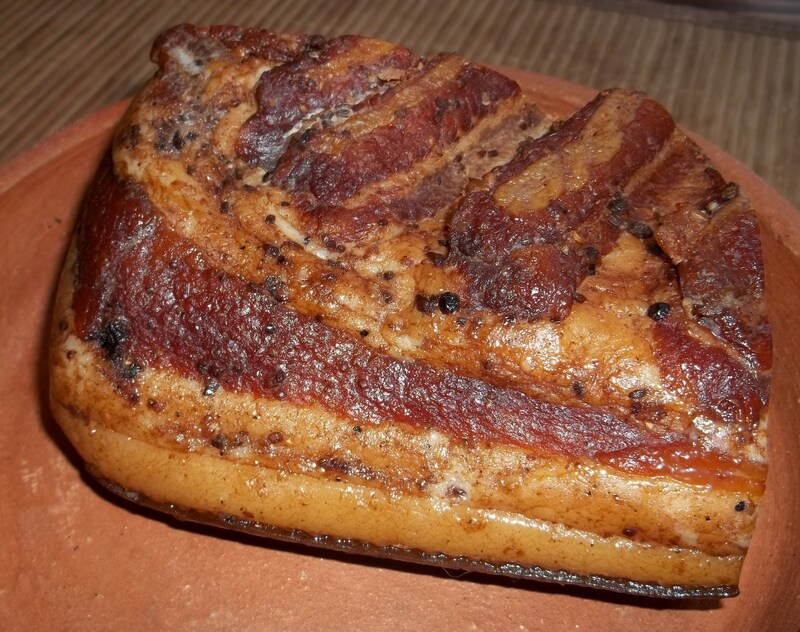 Ingredients: 600 grams of cornmeal, 300 grams of bacon, 100 grams of pork belly fat, half tsp of salt, and water. 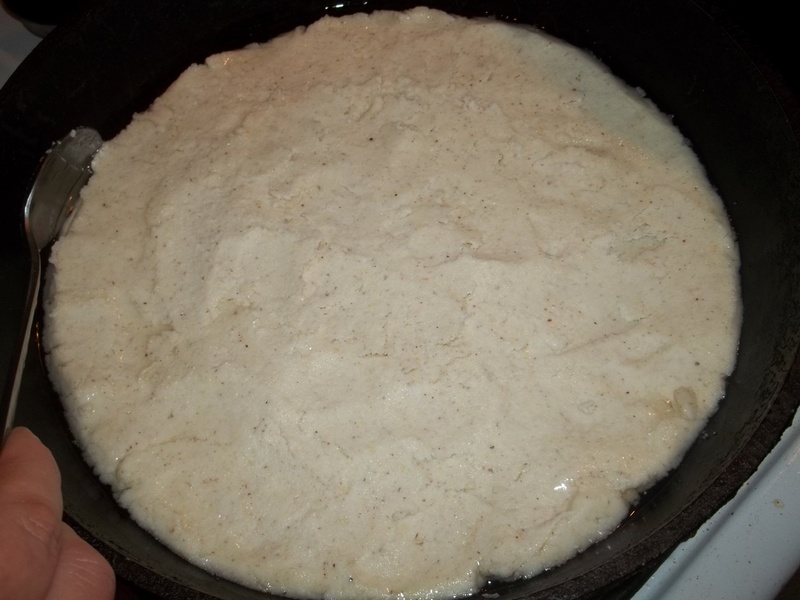 Preparation: Add the cornmeal to a mixing bowl. Add half a tsp of salt and then add water a little by little and squash with your hands until the cornmeal is firm but not wet. Divide into two parts. Melt 100 grams of pork belly fat in a pan. 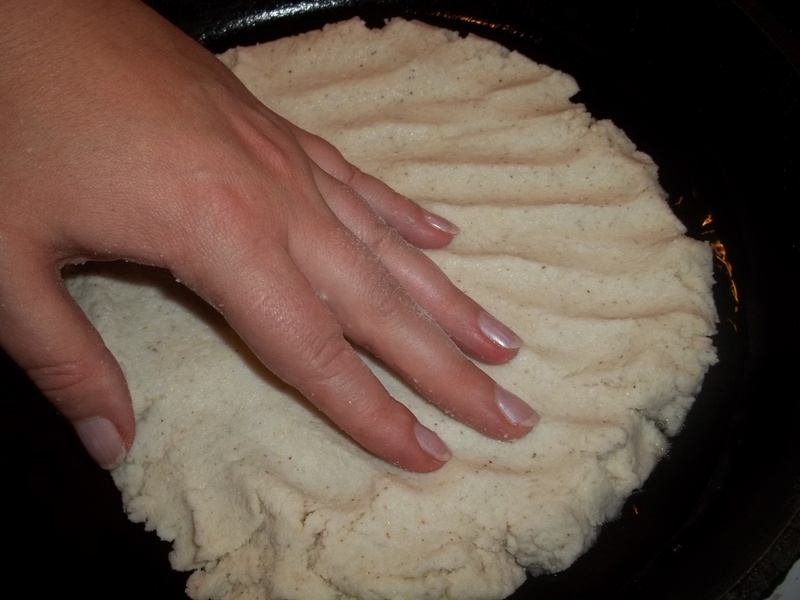 Turn off the heat and add one part of the cornmeal. 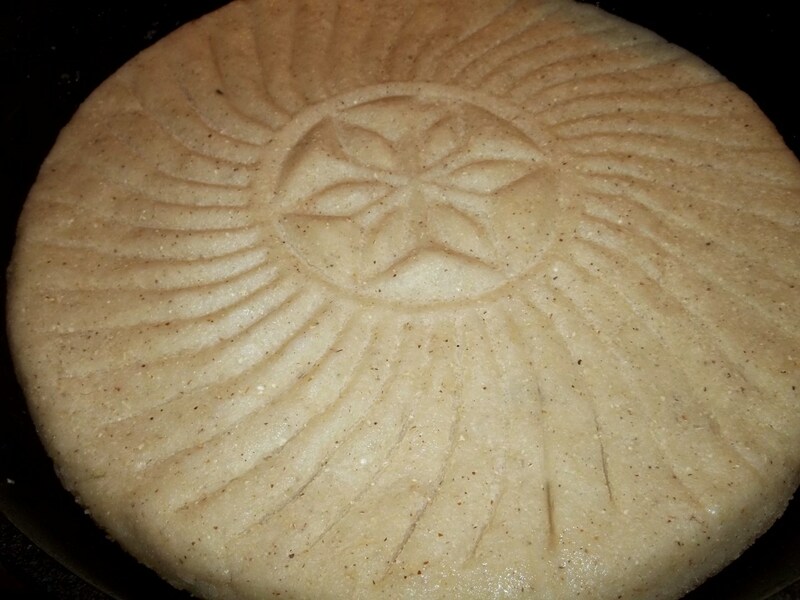 Use the palm of your hand and your fingers to press and shape the cornmeal until it covers the base of the pan. 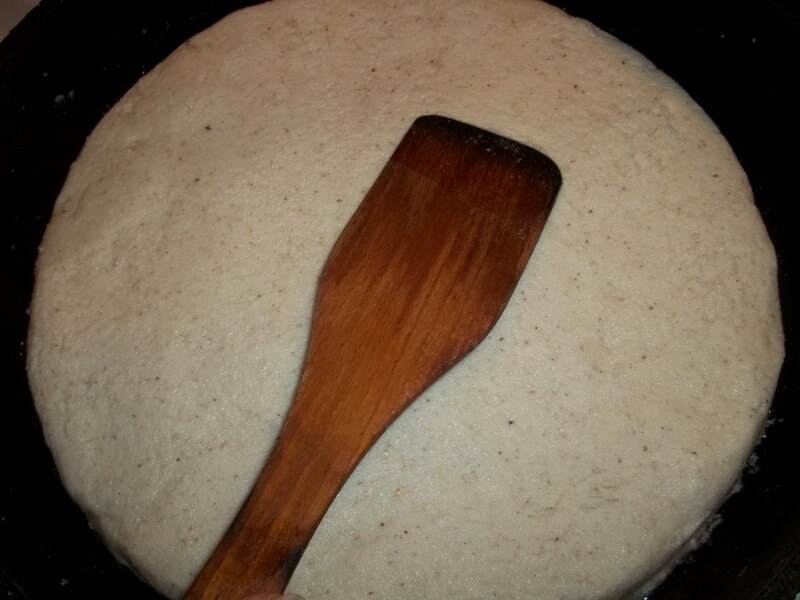 Use a spoon to shape and smooth the edges. Slice the bacon and remove the rind. 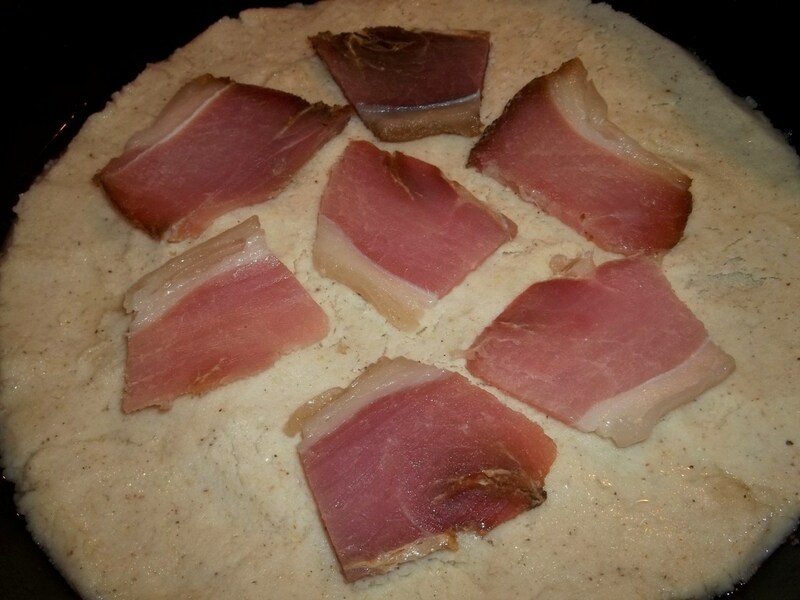 Place the slices of bacon onto the cornmeal. 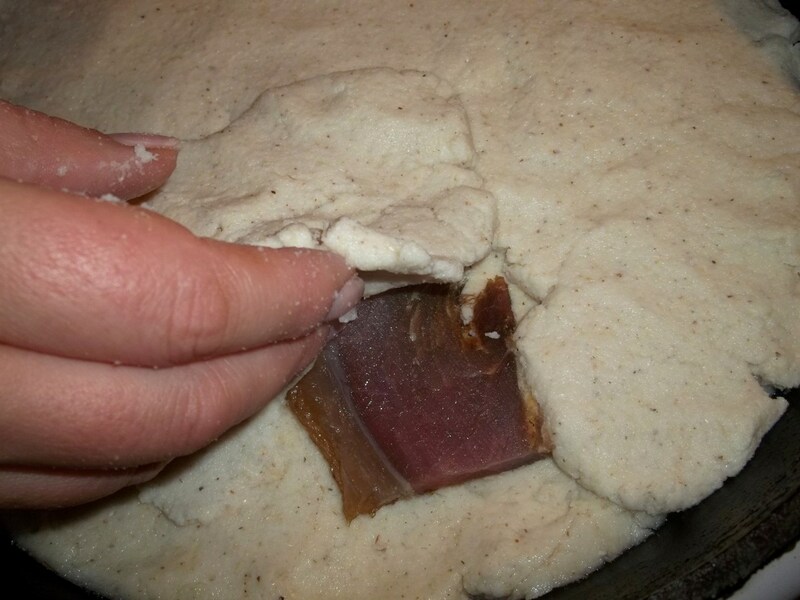 Break off parts of the remaining cornmeal and use your hands and fingers to press and flatten each piece over the bacon and cornmeal base until it is completely covered. 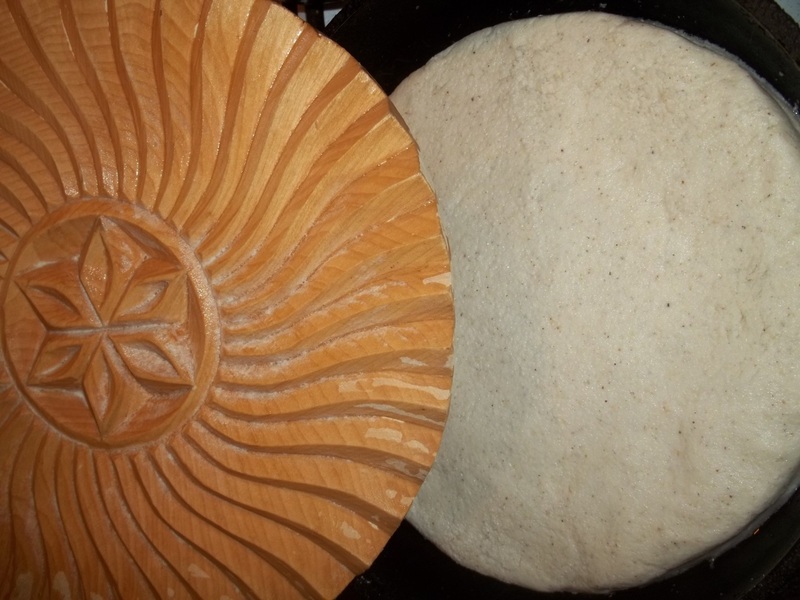 NOTE: Because of the consistency of the cornmeal it is not possible to roll it out to make the cover so it must be done piece by piece. Use a wooden spatula wiped with some of the melted pork belly fat to smooth the surface of the cornmeal. 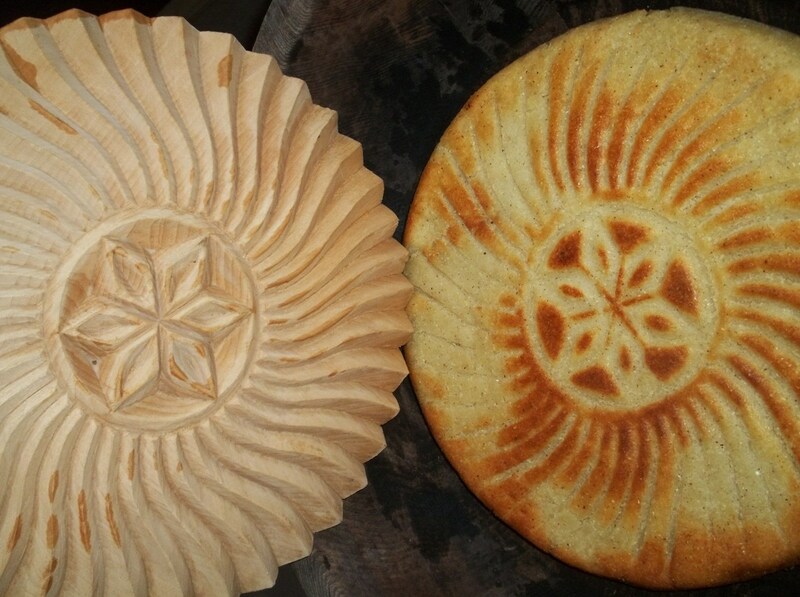 We decorated the top of the cornmeal with a pattern made with a traditional wooden Sachrelelbeli. This is not essential but it does look very nice. Press down quite hard to ensure a sharp impression. 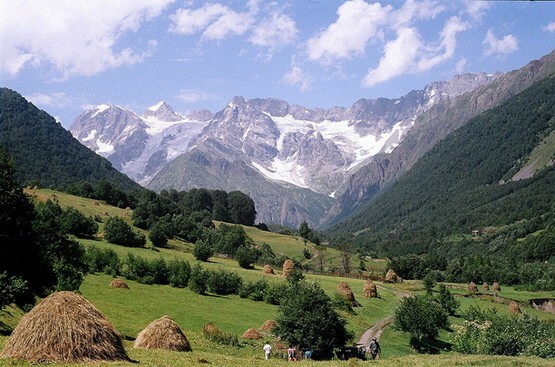 Cover and heat on a low temperature for 10 minutes. Uncover and cook for a further 10 minutes and then carefully turn over the mchadi. Partly cover and cook for a further 7-10 minutes. Serving: Serve hot. It can be eaten with cheese or lobio or salad, or just by itself. Enjoy your Rachuli Mchadi with Bacon! It’s so beautiful and so delicious ! Thank you!